Johnny’s Selected Seeds has grown from a fledgling business in a farmhouse attic to a national and international multichannel retailer. As the company expanded, technical limitations led their warehouse operations team to adopt manual processes and workarounds. Now with more than 10,000 products dispersed across a 25,000 square foot warehouse, these workarounds were being pushed to their limits, and a more robust solution was needed. 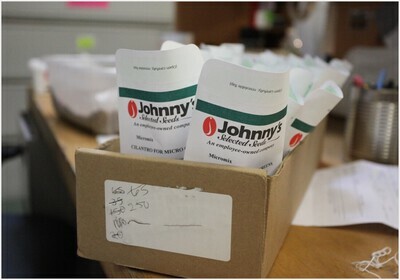 Having learned that large-scale warehouse management systems lacked the flexibility to handle their unique business needs, Johnny’s preferred to make incremental systems changes, which led them to seek a custom solution. Our remit was to replace a specific Excel-based process. We had to balance this highly targeted scope with our desire to holistically understand their business. We began by using design thinking techniques to understand the target users, their workflow, and their pain points. We interviewed the front-line warehouse employees, asking them to tell us about their role and to describe a typical “day in the life”, and mapped the lifecycle of an item as it moves through the warehouse system. We identified a long list of potential benefits to adopting an automated real-time system, including increased productivity, reduced user error, and better data integrity. Because the existing process was very manual, even the most experienced users were making mistakes. They requested a digital movement history and chain of custody, so that if an item was not where it was supposed to be, they could retrace their steps and track it down. 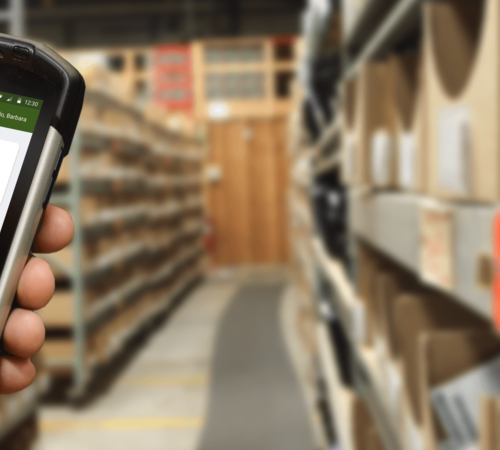 The warehouse team would be able to spend less time tracking down missing products, and more time fulfilling orders and ensuring quality customer service. Responsive website or native mobile app? One of the most important decisions was whether to use a native or cross-platform approach (e.g. Xamarin). We ultimately decided to build the RFID compatible Android app in Java, after identifying that this would provide faster development and easier integration with the hardware. Our developers worked closely with the Johnny’s in-house development team to design and implement the data model, integrate the API and to support single sign on. We also built a complementary web app in ReactJS, ensuring that managers could continue to perform key tasks that were better supported on a desktop environment. Because Johnny’s is committed to fast order fulfillment, we quickly determined that the app must be optimized for quick, repetitive transactions. We were able to design multiple user flows to address each of the key use cases, using built-in business logic to minimize the necessary inputs and increase user transaction speed. With over 50% of the workforce being seasonal hires, a simple user experience with a short learning curve would be essential if Johnny’s was to reduce reliance on a handful of key team members. The app is now an established piece of the Johnny’s warehouse operation and early feedback has been very positive. 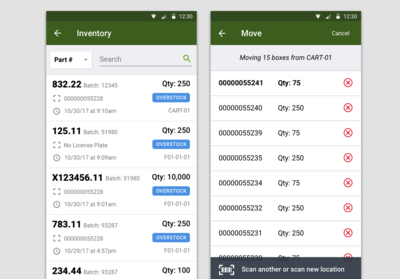 Users can now complete movements of inventory in real-time on a mobile device, instead of hand-written tracking and delayed data entry. The team has already completed over 90,000 movements using the new system and is heading into their busy shipping season with confidence and excitement.